Clark Novak is the Marketing Manager for Axia Audio, the networked-audio division of Telos Systems which pioneered and innovates Audio over IP technology for radio broadcasting. As a program director and air personality, Clark's background includes nearly 20 years immersed in day-to-day radio operations, where he became intimately familiar with studio equipment and computer systems. He then joined the marketing team at Pacific Research and Engineering, and became part of the Telos organization in 1999. Based in San Diego, Clark has tirelessly promoted the benefits and advantages of studio networking technology since helping launch Axia in 2003. At 11:59 P.M. on a Sunday in April, 2002, I was sitting on the thinly carpeted floor of the NAB convention hall watching as a software guru fed lines of code into his IBM Thinkpad. The next morning, the doors of the hall would open, and our newest product – a console surface with an IP-connected DSP mixing engine – would be displayed for the examination of broadcasters from all over the world. Andrew Zarian is the founder and President of GFQ Networks, a tech-savvy Internet broadcaster located in Queens, New York. Currently the hosts of a dozen different streaming video shows and a couple more podcasts, GFQ is one of the up-and-comers in the Internet streaming world – and also a Telos Alliance client. We sat down with Andrew to get the scoop on how he started, and where he thinks Webcasting is headed. If you’ve been paying attention the past few years (and even if you haven’t! ), you’ve no doubt heard about AES67, the IP-Audio networking standard adopted by the Audio Engineering Society in 2013. The standard has been a topic of conversation nearly everywhere since it was ratified. Sim Johnson of Broadcast Bionics wrote us posing this question: "What is the best way to establish a call between two Z/IP ONE codecs over a private network with no access to the Internet? Would you suggest using SIP, or is there a way to make a direct connection without a ZIP Server?" Back in the days of the Cold War, the world powers came up with some very interesting ways to monitor one another’s activities. 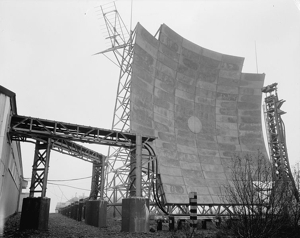 Chief among these for North America was the DEW Line, a system of early-warning radar stations that stretched across Canada’s Arctic Circle territories, through Alaska and into the Aleutians as well as Greenland and Iceland. It operated into the 1990s prior to shutdown (although some of the DEW Line installations were converted for use with the modern North Warning System operated by NORAD). But not without the help of White Alice.